An examination of the multibillion-dollar industry reveals a mishmash of minimal state regulation and no involvement by federal officials. Pontoni, a resident of an assisted living facility near Cleveland, wasn&apos;t supposed to be left alone; her care chart stated that facility workers were to stand by while she was bathing "for safety." But records show she had been unsupervised for at least an hour that day in 2010, with deadly consequences. State law in Ohio does not require assisted living facilities to alert regulators at the Ohio Department of Health when a resident dies under questionable circumstances, so administrators at Pontoni&apos;s facility never did. While law enforcement did an investigation—ruling the death an accident—the people actually charged with safeguarding seniors in assisted living never so much as visited the facility in response to Pontoni&apos;s death. Indeed, the Department of Health was unaware of how Pontoni died until notified by a reporter investigating assisted living for ProPublica and Frontline. 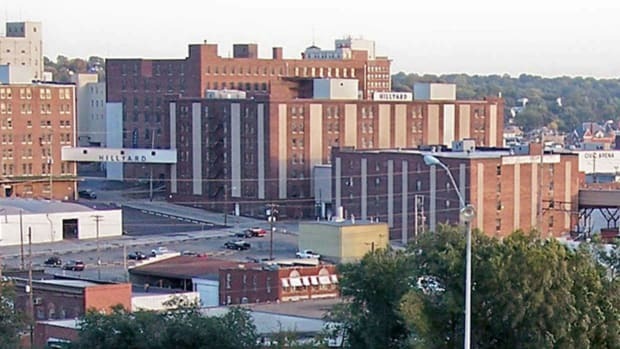 When asked about Pontoni&apos;s death, and whether the Department of Health feared other care issues had been overlooked, Tessie Pollock, a department spokeswoman, said it did not appear that any regulation had been violated by the Cleveland facility. She encouraged the families of residents in the state&apos;s assisted living facilities to be vigilant on behalf of their loved ones. Ohio&apos;s hands-off approach to regulating assisted living is hardly an aberration. Over the past two decades, assisted living has undergone a profound transformation. What began as a grassroots movement aimed at creating a humane and innovative alternative to nursing homes has become a multibillion-dollar industry that houses some 750,000 American seniors. Assisted living facilities, at least initially, were meant to provide housing, meals, and help to elderly people who could no longer live on their own. Yet an examination by ProPublica and Frontline found that, in many states, regulations for assisted living lag far behind this reality. Despite the growing demands on care in assisted living, most states set the entry bar low for facility workers, requiring little in the way of education or qualifications. In Minnesota and 13 other states, administrators don&apos;t need high school diplomas. Caregivers can be as young as 16 in Illinois. Facilities in some states, Colorado among them, are not required to have even one licensed nurse on staff. In 2012, a worker at Gold Age Villa, a small assisted living facility in Placer County, picked wild mushrooms and put them in gravy she fed to five seniors. Unfortunately, the fungi were toxic. Four residents died. In many parts of the country, assisted living operators face few consequences for even the most serious lapses in care. All states have the power to shut down troubled facilities, but they typically do so only as a last resort and after years of problems. Most states can impose fines for violations of safety standards, but they seldom carry much sting—in California, facilities routinely pay as little as $150 in cases in which the state found residents had died as a result of poor care. While consumers can go online and compare the track records of nursing homes on a government website, few such resources exist for assisted living. 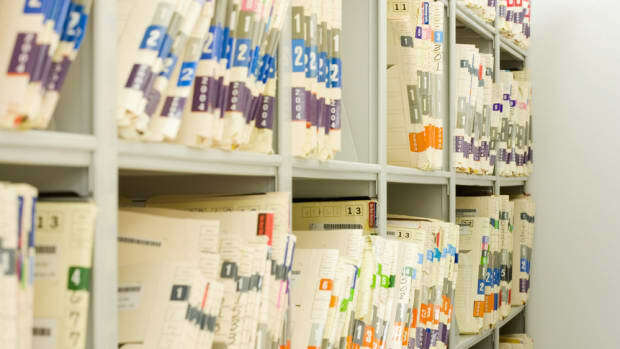 Twenty-two states still don&apos;t post inspection records online, requiring residents to visit state offices to view them on paper or file public records requests. The jumble of state laws governing assisted living reflects, in part, the industry&apos;s efforts to fight off tougher regulation. "We absolutely support the idea of regulation," said Mark Parkinson, a former governor of Kansas who is now the president of the American Health Care Association and the National Center for Assisted Living, an industry trade group. "The issue then becomes at what level do you regulate it? Do you regulate at the federal level? Or you do at the state level? And our position has been that it&apos;s better to do it at the state level." Parkinson and others say the ability of individual states to craft their own oversight policies makes sense given the great variety of assisted living settings—from rooms in private homes to 200-bed facilities run by national chains. And he says the absence of strict federal involvement allows consumers to have a greater voice in how assisted living is regulated in their local communities. "Ninety-one percent of the country that has a mom or dad in assisted living facility would recommend that facility to someone else," he said. "That&apos;s a pretty important data point." To many—advocates for the elderly, researchers, lawyers for victim families—the hodgepodge of state rules present a real peril, one that is only likely to grow as the population in assisted living becomes more fragile. Some have called for federal regulation of assisted living similar to what exists for nursing homes. "If you look at the history of assisted living, it sort of emerged like a hernia. It pushed through a soft spot in oversight," said Richard Mollot, executive director of the Long Term Care Community Coalition, a national advocacy organization based in New York. Federal rules would be no panacea, Mollot and others acknowledge—there are still plenty of problems with nursing home care. The federal government has exercised more authority over nursing homes because it pays many of the bills, chiefly through Medicare. Most residents in assisted living pay out of their own pockets. Leaders in the assisted living industry deride the idea that federal oversight would improve residents&apos; circumstances and say that allowing standards to vary state to state allows for more flexibility and options in assisted living settings. They say they have adapted to the more serious needs of their residents, but continue to insist that assisted living has not become an actual health care enterprise, and does not need to be regulated like one. "We think that the regulations are working well in each of the states," said Richard Grimes, president of the Assisted Living Federation of America, a prominent trade group. There are nearly 8,000 assisted living facilities in California today, roughly 25 percent more than there were a decade ago. But as the number of residents in these settings has swelled, the state&apos;s system for ensuring their welfare has been slow to adapt. And by some measures, it&apos;s been in retreat. Since 2001, the department has cut its staff of inspectors by nearly nine percent, and lengthened the timetable for how often facilities must be inspected from every year to every five years. "There&apos;s no question oversight is worse now than it was 10 years ago," said Pat McGinnis, executive director of California Advocates for Nursing Home Reform, a non-profit organization. "The current system is a recipe for neglect and abuse. Care standards are almost meaningless. Facilities can flout the law without facing serious consequences." An examination of California&apos;s regulatory system—inspection filings, investigation reports, lawsuits, and data from the state ombudsman&apos;s office—reveals the consequences of the cutbacks: Routine inspections are sometimes delayed and death investigations can take months to complete; even facilities with track records of repeated violations tend to receive slap-on-the-wrist punishments. Irving Weinberg, 98, died in 2010 when his motorized wheelchair tumbled down a staircase at an Escondido, California, facility operated by Emeritus Senior Living, the country&apos;s largest assisted living company and the dominant chain in California. It took regulators eight months to complete an investigation. When the state finally cited the facility for not having enough staff in place to prevent the fatal accident, the company was fined $150. "We were not at fault for this extremely unfortunate and unforeseeable accident," Emeritus stated in response to written questions. "There is no evidence that Emeritus at Escondido caused or contributed to this tragic incident in any way." A review of state inspection reports revealed that the state had cited the same facility just months before Weinberg&apos;s death for failing to provide adequate medical attention for a resident who died of sepsis, a shock-like condition brought on by severe infection. In that case, too, the facility was fined $150. Emeritus said the resident "was taken care of appropriately." "A hundred and fifty dollars for someone&apos;s life?" asked Leslie Weinberg, Irving&apos;s daughter-in-law. "I don&apos;t think that is adequate." The Weinberg family sued and settled with the facility&apos;s owner. In 2012, a worker at Gold Age Villa, a small assisted living facility in Placer County, picked wild mushrooms and put them in gravy she fed to five seniors. Unfortunately, the fungi were toxic. Four residents eventually died. The incident generated headlines around the country. The government response, however, was largely overlooked: The state barred the caregiver from working in the industry, but did not revoke the facility&apos;s license or fine its owner. In 2011 an inspector concluded that workers at an Attitudes Senior Care facility, in Del Mar, had "neglected" a bed-ridden resident, causing the person to suffer from "severe malnutrition" and "numerous" pressure ulcers, or bed sores, including a wound that eroded the flesh all the way down to the coccyx bone. State officials handed out a $150 fine and crafted a plan to bring Attitudes into compliance with California law. Records show the facility—part of a modest three-facility operation—had been put on just such a plan a few years earlier, in 2008, when another resident "did not receive the required care." Karen Kelly, president of Attitudes Senior Care, said in a brief interview that she did not want to discuss the case, saying, when asked about the state&apos;s sanctions, "The department is the department." "We have been providing excellent care for many years as any of our residents and family members can attest," Kelly said in an email. However, Leary couldn&apos;t say how frequently the state was using these enforcement tools. Leary said even determining how many facilities, at any given time, had been deemed "out of compliance" with state regulations was "a hard statistic to get." "How can we assure residents are safe and how do we know what&apos;s going on? That&apos;s the challenge," Leary said. "We know we have a lot of catching up to do." But it&apos;s not likely to be easy, for, as Leary admits, the department is trying to do more with less. Last year, the state broadened the workload for inspectors, tasking them with inspecting facilities for the physically and developmentally disabled in addition to assisted living facilities. When they are alerted to cases in which assisted living residents might be at risk of harm, they can take as long as 10 days to start an investigation. Even then, their inquiries are often perfunctory, said Chris Murphy, whose group, Consumer Advocates for RCFE Reform, tracks deaths, neglect, and mistreatment in Southern California assisted living facilities. Murphy, who has a master&apos;s degree in gerontology, said she started her organization after witnessing problems at a facility where her mother lived. She said she has only become more disturbed with California&apos;s lack of oversight over time. "Nobody&apos;s accountable," she said. "The citations are meaningless. It&apos;s a charade, in my view." In 2007, workers at an Emeritus assisted living facility in Oceanside, California, found Irene Elliott, 98, lying in the dirt beneath her window, cold to the touch. It appeared she had jumped or fallen. The drop from her second floor window had fractured her pelvis, two vertebrae, left elbow, and multiple ribs. State investigators were called to look into the death. After a one-day probe, an inspector decided that the facility was in "substantial compliance" with the law. The facility, which insisted it had done nothing wrong, was not cited by the state. According to court documents and the Medical Examiner&apos;s report, however, Elliott, who suffered from dementia, had been exhibiting increasingly erratic behavior. Her family contends that the facility was aware of her issues, but didn&apos;t take action to prevent the fatal incident from occurring. Despite her deteriorating mental condition, Elliott wasn&apos;t moved into the building&apos;s memory care wing, a secure space for people with Alzheimer&apos;s and dementia. In court papers, the company maintained it had responded promptly to the changes in Elliott&apos;s condition and said there was "no basis" for transferring Elliott to the memory care wing. Elliott&apos;s family sued the company that owned the facility, reaching a settlement in 2008. The state doesn&apos;t post inspection reports or complaint investigations online. In 2009, University of California-San Francisco professor Bob Newcomer received a roughly $600,000 grant to overhaul the Department of Social Services&apos; information technology systems. The goal was to improve how the agency collected data on assisted living, and to make that data more accessible to the public. "It&apos;s a complete embarrassment," said Newcomer, now a professor emeritus at UCSF. Leary, who was appointed to her position in 2011, said she was unaware of Newcomer&apos;s efforts and does not know why they stalled. She said she supports updating the department&apos;s information systems. "We have to have a system that&apos;s actually in real time, and up to date, regarding a facility&apos;s status," she said. "Currently, we can&apos;t do that." State officials say they want to draw upon the wisdom of families, the industry, and experts in senior care in determining what needs to be done. But to date, there&apos;s little evidence that such a conversation has begun, and as a result officials have not proposed any significant legislative changes to enhance regulatory oversight. Murphy is proposing a radical revamping of California&apos;s oversight apparatus. The first step: To place regulation of assisted living with the state Department of Public Health, which monitors hospitals and other medical facilities. "The only thing that has ever worked with the department is lawsuits," said McGinnis, who heads the advocacy group. "And that&apos;s a hell of a way to make public policy." A decade ago, the assisted living industry was exploding in Iowa much as it was in California. But problems had been emerging, and to many it became clear the state&apos;s Department of Elder Affairs was not up to the task of overseeing the care being delivered to thousands of seniors. Two successive governors, Tom Vilsack and Chet Culver, moved to get more serious about regulating the industry. In 2002, Vilsack shifted responsibility for overseeing assisted living to the Department of Inspections and Appeals, which already oversaw nursing homes and hospitals in the state. Culver, who took over as governor in 2007, appointed a lawyer who had once worked in the attorney general&apos;s office to serve as the agency&apos;s director. "I knew what I was getting into," Lerner, in a recent interview, said of his dealings with the assisted living industry. "I knew that the industry was very powerful politically in the state." But some of his efforts ran into stiff resistance. For instance, proposed legislation aimed at preventing elected officials, industry representatives, and others from interfering with investigations of assisted living and other senior homes went nowhere. "In every meeting I ever had with them, they would fight tooth and nail against any enhanced regulatory oversight or any public disclosure," Lerner said of the industry and its lobbyists. "Their goal in every meeting? More money, less regulation, minimal public disclosure." Today, the central regulations governing assisted living in Iowa are much as they were when Lerner took over. 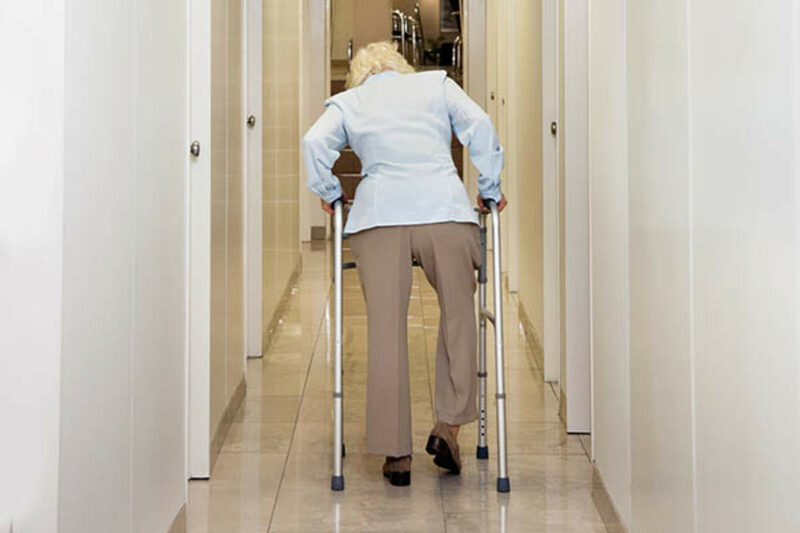 The state is required to conduct inspections of assisted living facilities every two years and can assess civil penalties of up to $10,000 for neglect or abuse that results in fatal injuries. Iowa also requires assisted living facilities to be overseen by a registered nurse and that caregivers working with people with Alzheimer&apos;s and dementia receive a minimum of eight hours of specialized training within 30 days of employment. But others, and not just Lerner, say the industry has worked hard to keep regulations superficial. Over the years, nursing homes and assisted living facilities have banded together, impressing upon lawmakers their status among the state&apos;s largest employers. Too much regulation, they have made clear, could drive those jobs out of the state. Today, more than 50,000 people are employed in Iowa in what are known as long-term care facilities. "The industry is smart," said Brian Kaskie, associate director of the University of Iowa Center on Aging, who has closely followed long-term care issues in the state. "If you look at campaign contributions, they&apos;re not huge. They keep a low profile. They don&apos;t spread a lot of cash around. When they do, it&apos;s very targeted. They spend as little as possible in order to have the capacity to stop [tough regulation]. They frame it as, ‘We&apos;re your city‘s largest employer.&apos; In Iowa, long-term care is a $2 billion industry." "I didn&apos;t see a more powerful interest group in Iowa than the nursing home and assisted living industry," Larew said. "They are very effective and there&apos;s simply no countervailing weight on the other side." The Iowa Health Care Association rejects any suggestion that it has exerted undue influence on state legislators, saying the notion that votes regarding nursing home or assisted living regulation can be bought is "offensive." "We are proud to be among the many stakeholders who offer input on long-term care issues to policymakers," the association&apos;s statement said. "Our state has sold out to the assisted living and nursing home industry," said John Tapscott, a former state representative who now serves as a volunteer advocate for the elderly. "Everything introduced that is seen as positive for senior citizens is beaten back because the lobbyists are there with open pocket. And the people who suffer the most are those who have the least voice." "On the one hand, they&apos;re telling consumers, ‘We&apos;ll take care of you; You&apos;ll be safe; We have trained staff and dementia care,&apos;" Mollot, the executive director of New York&apos;s Long Term Care Community Coalition, said of the industry. "With policymakers, they say, ‘We&apos;re not a nursing home. We don&apos;t need that kind of oversight or those kinds of requirements.&apos;"
In Iowa in 2010, Lerner&apos;s efforts to oversee assisted living became an issue in the race for governor. On the campaign trail, Republican candidate Terry Branstad criticized Lerner&apos;s tactics and promised to replace him with someone who would work in a more "collaborative" and "cooperative" manner with the industry. After winning the election, Branstad named Rod Roberts, a former state legislator, to replace Lerner. In a written statement, Roberts said politics and special interests had not influenced his ability to enforce assisted living regulations. Roberts said his department has an "open door policy with constituents, stakeholders, and all interested parties." "Incidents are down, investigation times remain constant, and department citations reflect a robust enforcement effort" Roberts wrote in a 2011 opinion article in the Des Moines Register. "What has changed, however, is the attitude and approach we take with our regulated facilities. Mutual respect has replaced ‘gotcha,&apos; and all those in our care facilities are better served as a result." Though out of office, Lerner was nonetheless drawn into the latest development in regulating assisted living, voicing strong opposition to an industry-supported piece of legislation this year that established a new process for appealing assisted living and nursing home violations. The new rules require outside attorneys—not the Department of Inspections and Appeals – to hear appeals. "This bill&apos;s passage and the rulemaking represents further evidence of the industry&apos;s clout to affect the regulatory process and frequently influence an agency charged with protecting the health, safety, and welfare of Iowans," Lerner said at a public hearing. The legislation is not yet in force, but for Lerner it is another sign of the industry&apos;s grip on the state. "I absolutely, positively believe that the federal government has a role and needs to step up to the plate." "Do consumers receive enough information to make wise choices?" Clinton, then a newly minted senator from New York, asked at the time. "I think we all understand that they don&apos;t. What assurances do consumers have that the care will be adequate?" The senators saw to it that a working group of industry representatives, advocates, experts, and regulators was formed and charged with making recommendations for how conditions in assisted living facilities could be made safer. A year and a half later, the group produced more than 100 recommendations. Virtually nothing got done. Congress, for example, did not allocate money to sufficiently fund ombudsman programs in the states, offices that act as advocates for those in assisted living and other long-term care facilities. "It was preposterous," recalled Toby Edelman, an attorney with the Center for Medicare Advocacy who participated in the work group. "There wasn&apos;t even any agreement on what assisted living was. We couldn&apos;t agree on whether it was intermediate step for people before they went to nursing homes or whether it was an alternative to a nursing home." A decade later, after the Miami Herald exposed widespread abuse in Florida facilities, the issue was back in front of Congress. Concern was again expressed. And with it, some frustration about what hadn&apos;t happened. Florida Senator Bill Nelson noted at a 2011 hearing of the Senate Special Committee on Aging that it wasn&apos;t just his home state that had problems. In Pennsylvania, emergency room workers removed 50 maggots from a resident&apos;s open facial wound, he said. In New York, a senior died after caretakers mistakenly gave her someone else&apos;s medication. In Virginia, police responded to a 911 call and found one resident lying on the floor calling for help while another was struggling with a catheter. "So, we&apos;re going to have to ask ourselves in this hearing if we&apos;ve been talking about the same problems for over 10 years, why are we still talking about it?" Nelson said. "What are the solutions?" "I know there are some very sincere people that would like to see federal regulation of assisted living," said Richard Grimes, president of the Assisted Living Federation of America, the industry group. "They would like to have a very simple definition of assisted living that everyone could live with that, that every community would look the same. And there would be one set of regulations to govern them. But that&apos;s just antithetical to what the philosophy of what assisted living is all about." "It is about choice, and I just believe that choice is one of the biggest components to quality of life there is," said Granger Cobb, the chief executive officer of Emeritus. If the federal government assumed responsibility, Cobb said, "they would have to approach it like they did skilled nursing and put everyone into the same box and say these are now the regulations. One size fits all. Everybody has got to do it this way." "This is a false choice," said Eric M. Carlson of the National Senior Citizens Law Center. "Establishing basic consumer rights, and establishing some common-sense requirements for ‘assisted living,&apos; does not mean that operators are put into a one-size-fits-all box." Their message: "We&apos;re doing a great job," said Grimes, whose group spearheaded the effort. "Assisted living is working. And we&apos;re very pleased about the future." "I&apos;m not disparaging of nursing home regulation," said Rick E. Harris, a former regulatory official in Alabama who served on the national work group a decade ago. "It&apos;s not been a bad thing. It&apos;s been reasonably successful in improving quality of care in nursing homes. But state regulatory agencies have to have some flexibility because you only have so many resources." Whatever the impact of the industry&apos;s lobbying in Washington, the lack of involvement by the federal government in overseeing assisted living is in many ways, not surprisingly, about money. "A lot of this has to do with how this industry evolved," said Don Redfoot, a senior strategic policy advisor with AARP. "The high percentage of nursing homes receiving federal subsidies meant that federal government had a bigger obligation to step in and regulate. Assisted living evolved not out of a federal program, but rather largely as a private pay industry." Some think federal involvement of some kind is just a matter of time. While most people in assisted living pay for their own care, the amount of federal money going into the industry has been ticking upward. 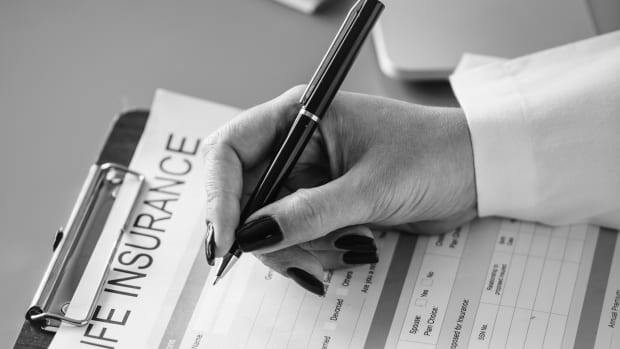 Today Medicaid helps to pay the bills for nearly 20 percent of assisted living residents nationwide, according to a 2010 survey by the U.S. Department of Health and Human Services. "We are at a point where we need federal regulation of assisted living," said Lori Smetanka, director of the National Long-Term Care Ombudsman Resource Center. "First, because of the increasing frailty of people in assisted living. Second, because of the increasing federal money going into assisted living. As more federal dollars go for assisted living services, it&apos;s only reasonable to expect federal standards to go along with that." 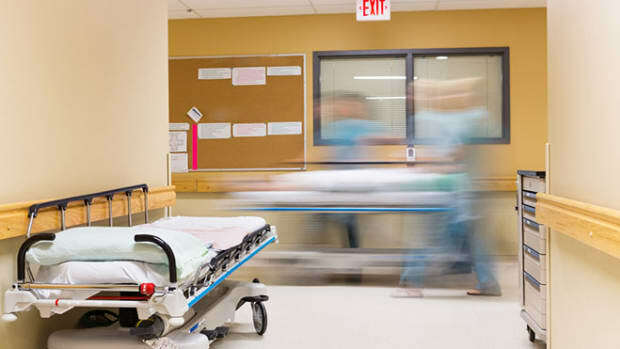 A study by Medicare’s inspector general of skilled nursing facilities says nearly 22,000 patients were injured and more than 1,500 died in a single month—a higher rate of medical errors than hospitals. 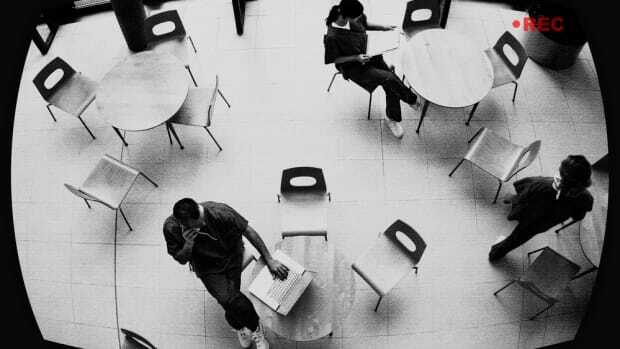 A lack of support from the medical establishment for those practicing the profession has led to a high attrition rate and tough psychological problems. So You've Become a Patient Safety Statistic—Now What? 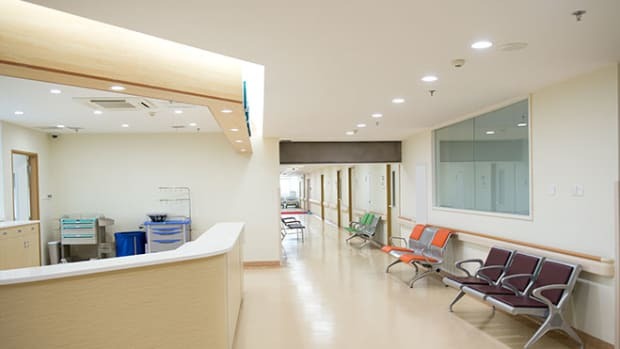 Six recommended steps to take if you’ve suffered harm in a medical facility.